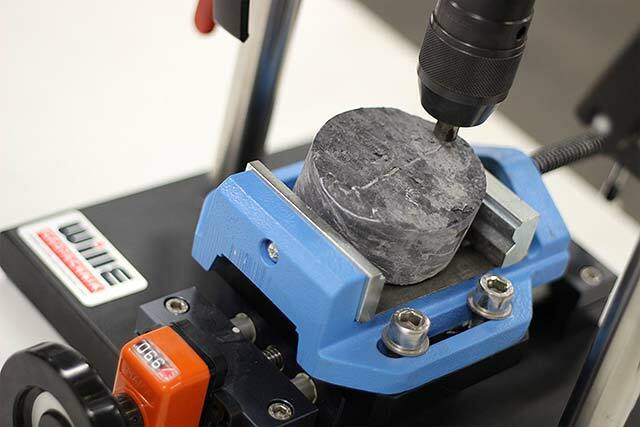 The Institute of Mineral Resources Engineering provides analysis of rock samples for characteristic rock values by using modern laboratory equipment. This includes determination of strength and abrasiveness values of hard and soft rocks. In the laboratory area, the MRE has set up a small workshop for rock testing. This workshop includes an area for processing of the specimen by rock saw and another room for analyzing and evaluating the rock samples. Furthermore, sampling of specimen on site can be provided.